Matco is intent on developing the inner city with a focus on mixed-use that will dramatically improve our communities by encouraging diversity, density and walkability. And, by creating beautiful spaces that are enjoyable to visit. Matco is the founding partner and co-owner of Eighth Avenue Place, a best in class, twin tower, LEED Platinum office complex. 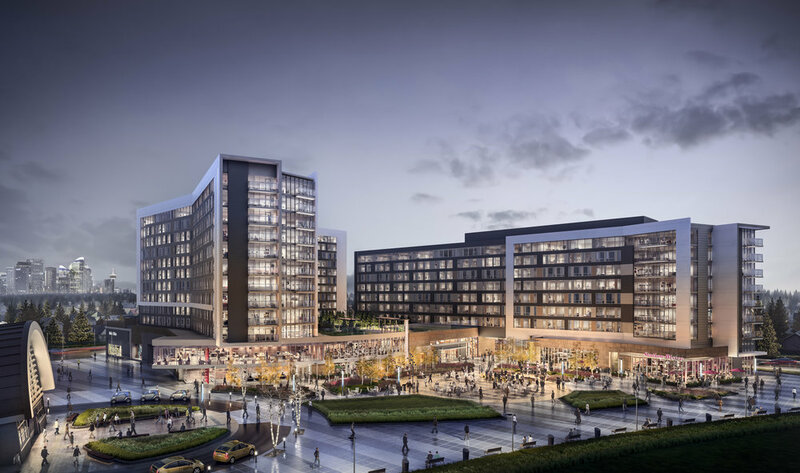 Matco is also a large owner of inner city mixed-use development land including Uptown at Westbrook – a 10 acre site that is one of Western Canada's most promising transit oriented developments, and the Brewery District – a 20 acre site in Inglewood close to the new Green Line. The development of Uptown at Westbrook is ongoing and will proceed in several phases over the next 10 years or more. Matco has completed planning at Uptown and has commenced retail leasing. Uptown at Westbrook will become a flagship walkable urban place with residential and commercial buildings master planned within an urban realm specifically designed for the pedestrian.